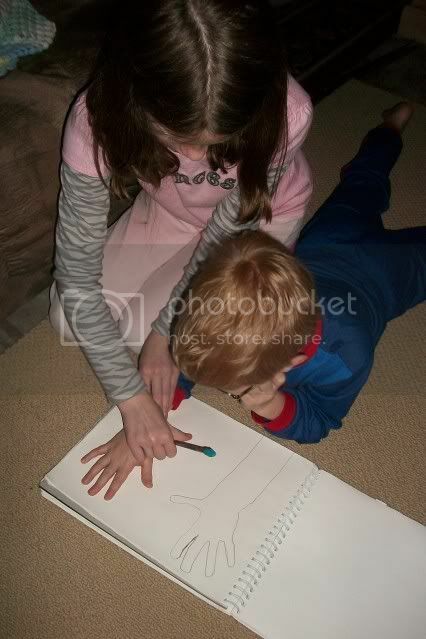 Joseph traced his left hand by himself, then asked Em for help with his right hand. thanks for joining!!! Today is the first time I have had a chance to sit down and look. LOVE that he wanted help, and he got it. SO NICE!